Chris Bradburn is a director in Katz, Sapper & Miller's Real Estate Services Group. Chris works primarily on tax matters related to real estate development, operations, partnerships and high net worth individuals. Chris leads the firm’s cost segregation practice, a formal, engineering-based approach to reducing taxes by accelerating the recovery of investments in real estate. He has analyzed over $5 billion in assets across a variety of property types, located throughout the United States. Chris serves as KSM’s primary resource with regard to Fixed Asset Services, including Section 263(a) tangible property regulations, asset classifications, cost recovery methods/conventions, short year/tech term issues, tax-exempt use matters, like kind exchanges, “green” tax incentives, credits, deductions and sustainable building practices. Chris graduated with distinction from Indiana University with Bachelor of Arts degrees in English literature and philosophy. Chris is an active volunteer in his community. He serves as Treasurer for the Lawrence Township School Foundation, Co-Chair of the Business/Finance Subcommittee for MSD Lawrence Township Strategic Planning Initiative, Treasurer for Lawrence Swim Team, and President of The Preserve at Fall Creek HOA. Prior civic activities include NE District Committee Chair, Boy Scouts of America (Crossroads of America Council); Troop Committee Chair (BSA Troop 276); and Treasurer, Indiana Writers Center. 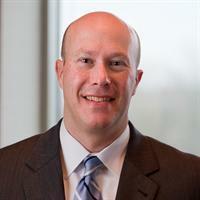 Chris is a member of the American Institute of Certified Public Accountants, the Indiana CPA Society, the Urban Land Institute (ULI) and the University of Cincinnati Real Estate Roundtable.